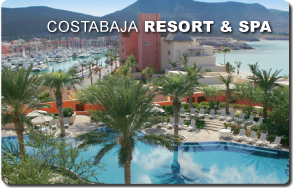 Welcome to Marina CostaBaja located on the Sea of Cortez; know as the "Aquarium of the world" by Jacques Cousteau, in beautiful La Paz, Baja California Sur, Mexico. Noted as some of the best year round sport fishing on the globe,nestled in a master planned community offering a luxury resort lifestyle. This 550 acre master planned development is surrounded by pristine white sand beaches, crystal blue bays and majestic volcanic mountains. Marina CostaBaja is the perfect marina to meet the needs of every boater's interest weather you're a cruiser, sailor, super yacht, trawler, or a sport fisher ready for the catch of the day. Marina CostaBaja is a boat owner's paradise; featuring first class amenities and state of the art services.